I sometimes wonders whats I would does withouts you guys, seriouslies, you all rocks, and I'll tellers you whys! 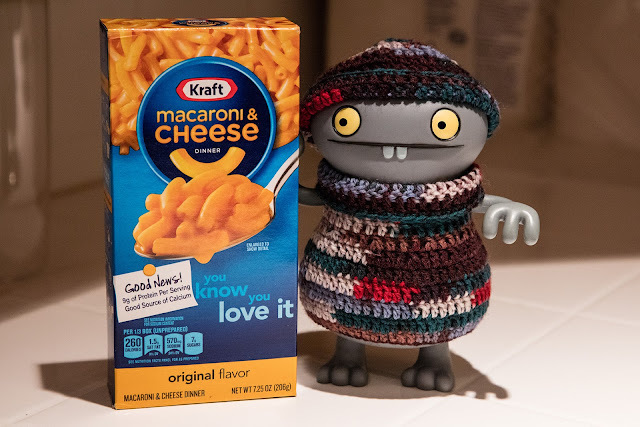 Afters I explainereds that I has to eats soupers for the rests of the monther to saves some pennies, I gettereds a messager from a gooders interwebs buddy suggesterings that I shoulds pickers up some Krafters macs and cheesers, as they isn't too expensivers. Tops jobbers guys, now I can intermachangers betweens soupers and macs and cheesers, booms!